"Creation and Completion contains both a clearly printed, very readable Tibetan text and a lucid, almost flawless English translation. An excellent book." "Creation and completion meditation is the cornerstone of tantric Buddhist practice, and draws upon a rich array of techniques and presumptions relating to moral culitvation. This book will be of great interest to both scholars and practitioners of Tibetan Buddhism." "An exceptionally important text. It will answer all questions and resolve all doubts about Vajrayana practice." "Mahamudra meditation is a 'completion stage' practice--completion because, like zazen, it represents fruition on the spot as opposed to a gradual buildup. Tantric techniques that develop gradually to that completion are called 'creation stage' practices. 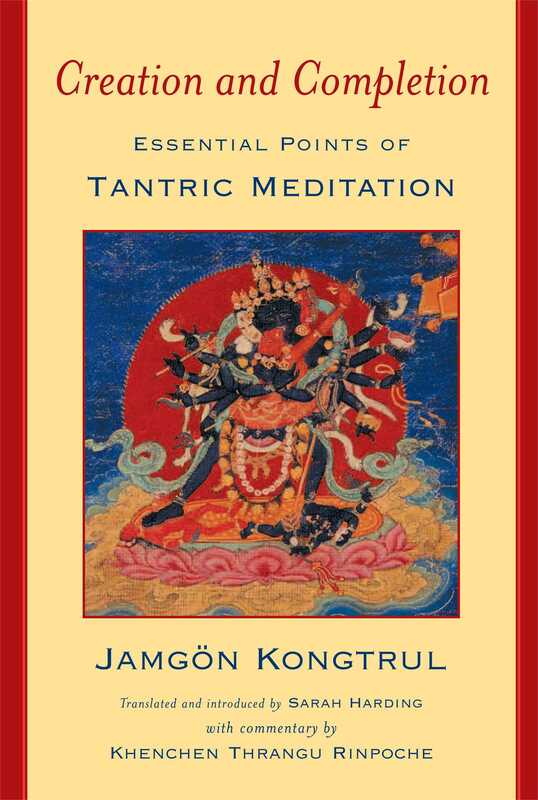 Sarah Harding's translation of Jamgon Kongtrul's Creation and Completion covers both bases but is especially useful for its detailed treatment of the visualization practices in the creation stage. It is, in fact, a point-by-point guide to this contemplative world of imagined mandalas and deities. This edition comes with a new commentary by Thrangu Rinpoche and a long, thoughtful introduction on visualization practice. Even though advanced practitioners will want to study this book, it's also designed to help beginners." "Sarah Harding has rendered a great service." "A delightful introduction to the deepest understanding of visualization, a particular way of cultivating religious imagination and full-bodied practice." "Includes much that is helpful to all meditators using imagery to focus the mind."